Fall is such a fun season in North Texas. The temperatures are mostly mild; it actually feels nice to be outside. It is the best season for planting. The need for watering is much less than in the summer. And to make it even better, it is a great time to be outside observing wildlife. 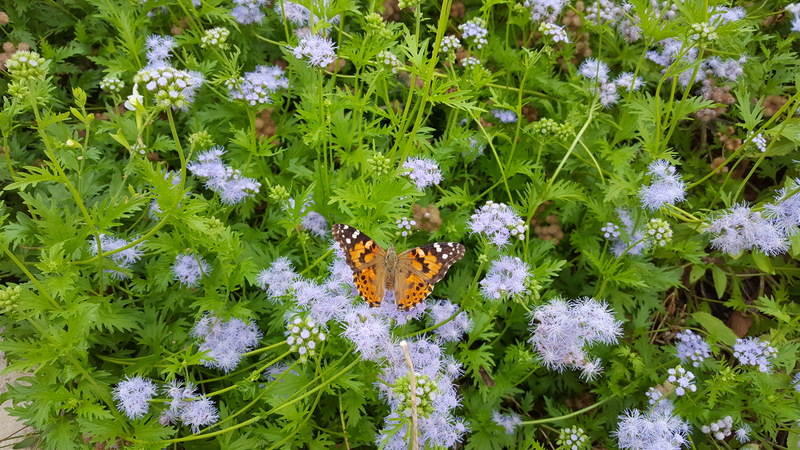 Pollinator activity is high, and who needs TV when you have wildlife. 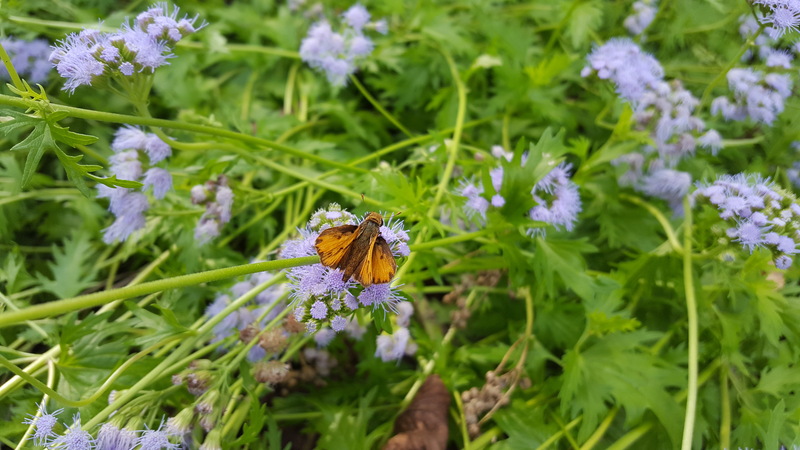 While watching all the activity going on in your garden, you may want to delve into the world of plant and animal identification. There are many tools available to make identification easy these days. Internet searches bring a treasure trove of information, and I find a few sites to be particularly helpful when trying to find plant and wildlife-related information. Have fun discovering all that is around you. Do not use pesticides. 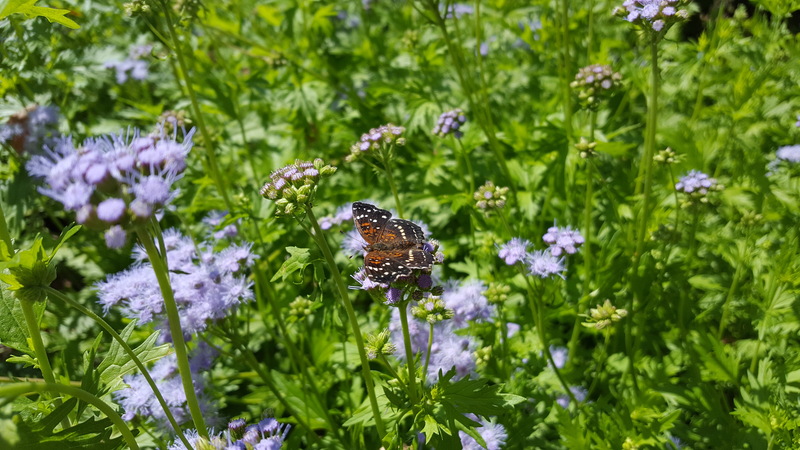 Organic is the way to go when if you want to create a wildlife habitat of any sort. Organic pesticides still kill, so use judiciously, locally and only if you have a real problem. Nature has a way of sorting itself out and after a year or two of doing things organically, you will notice a balance in your garden that will rarely require your intervention. 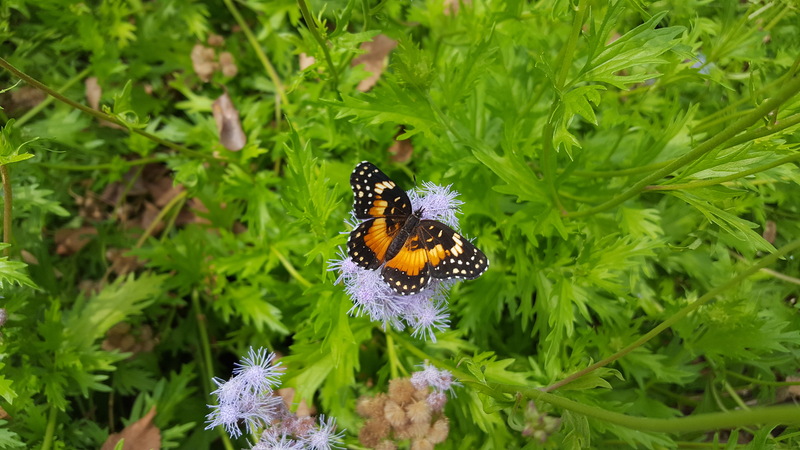 Choose a sunny spot for your butterfly garden. 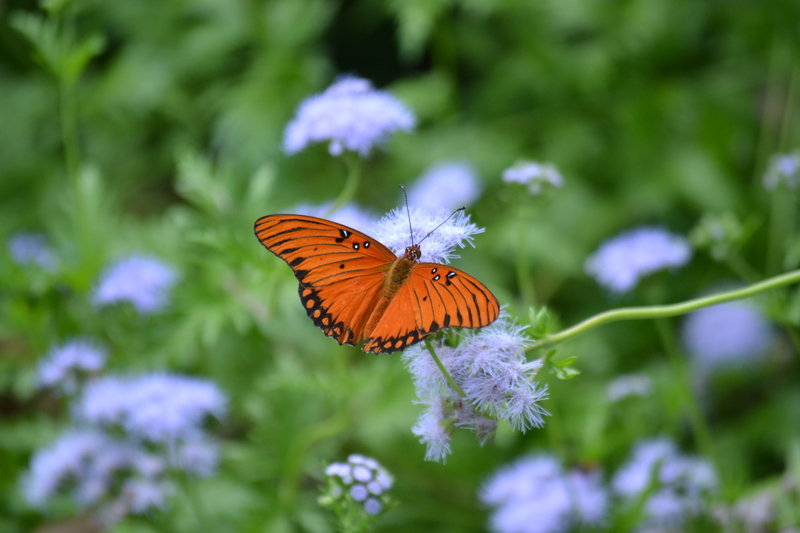 Butterflies love warm and sunny areas as they are cold blooded and need to be able to warm up. 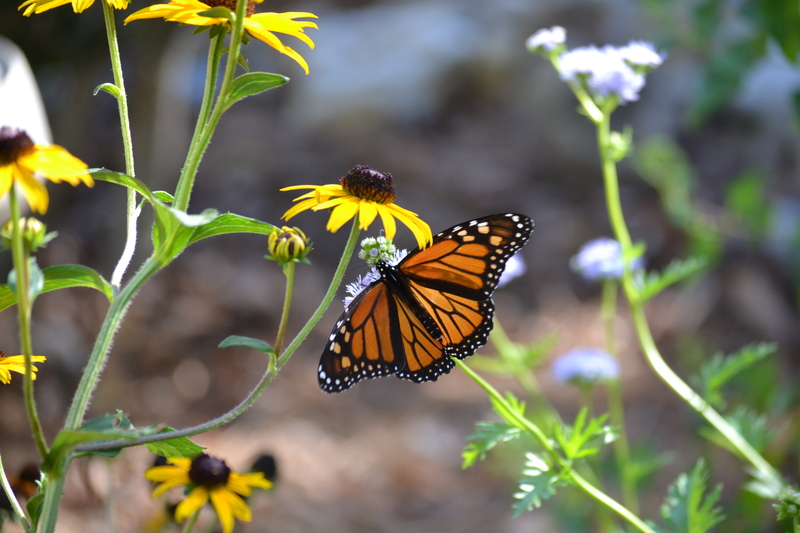 Choose a somewhat sheltered spot for your butterfly garden to protect them from the wind. 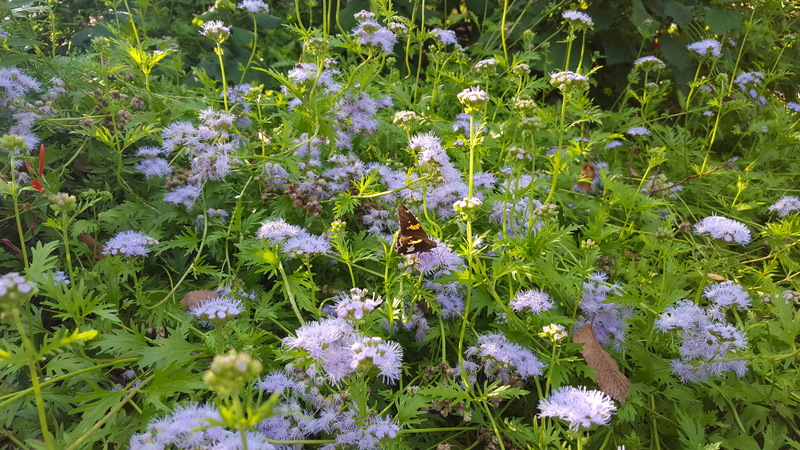 Butterflies prefer plant groupings to singular plants. And… enjoy! Watching life in the garden is a source of constant joy. Spring is such an enjoyable part of the year. Nature is exploding with new growth, buds, flowers… Gardens come to life again. Birds are in love and ready to start a family. 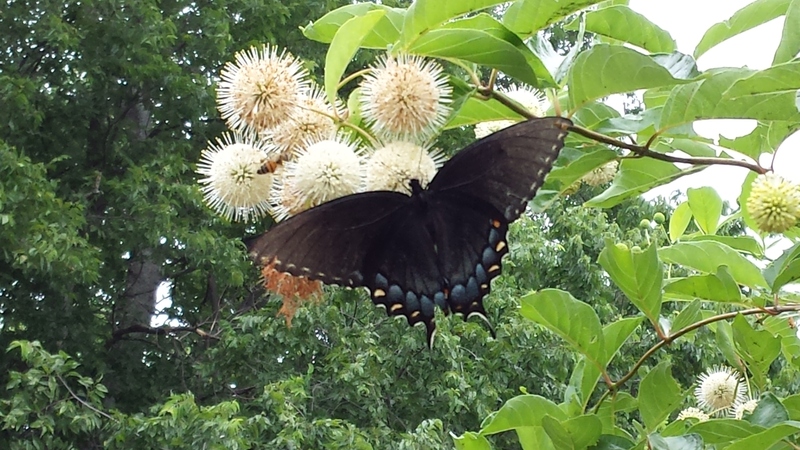 Landscapes become abuzz with life and related activity. It’s also the time of year when things get out of hand pretty quickly. Weeds seek their opportunity to take over the world. Plants hurry to grow and multiply – often ending up in the wrong places, overgrown, reseeding everywhere, out of place. It also means our gardens are hungry – they need the energy to grow, bloom and produce. Winter takes its toll on our landscapes, and spring is the time to make it right again. The best way to maintain a landscape is to do it regularly, and not wait until things are out of control. Proper trimming and pruning, weed control, amending, feeding, mulching, insect and disease control go a long way when done right and on time. It is easier to prevent problems or nip them in the bud when they arise, then to put out fires. When thinking about your garden, think about its foundations– soil and balance. If you nurture the soil, it will repay you with happy plants. 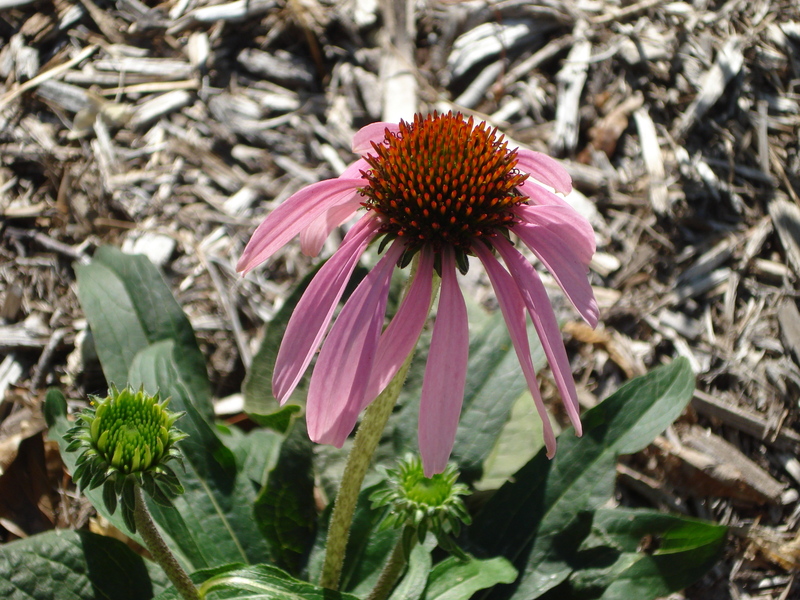 And happy, strong plants are more resilient, more beautiful, more drought tolerant and better adapted to the Texas heat. Healthy soil means healthy plants. And healthy plants mean less disease and insect problems. Creating a balanced ecosystem in your garden is the key to success. Nature has a way of taking care of its own problems. 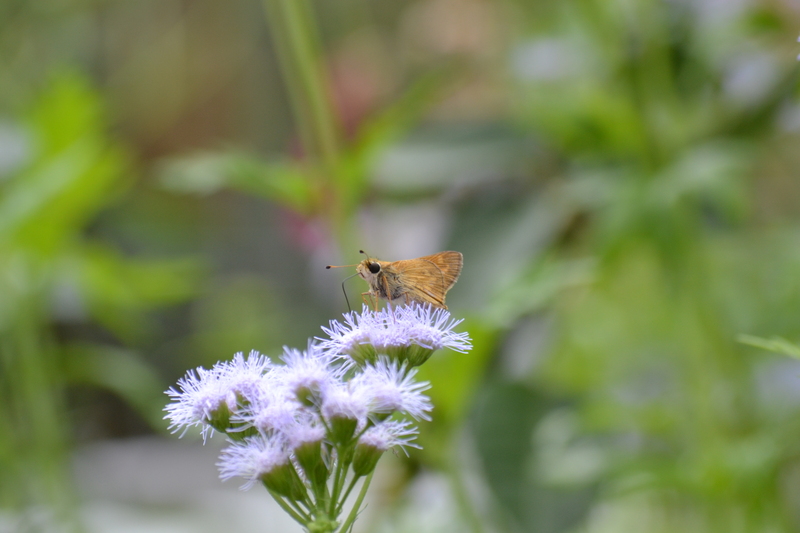 Plus, a garden alive with plants and wildlife is such a beautiful place to be and enjoy. It is also a great way for the children to reconnect with the outdoors. Provide butterfly food and host source and let them observe a butterfly emerge from its chrysalis. Add plants that attract hummingbirds and watch them come back year after year. Start an herb garden and let the kids be hands on. They can pick their own favorite herbs or veggies to grow. Provide shelter for lizards, geckos, and other garden creatures and teach your kids that variety and balance is very important in nature. And in return, they will help you keep your insect (including mosquito!) population in check. There are so many ways to you enjoy your garden. The same outdoor space can provide the perfect entertaining area for the adults and a secret garden, full of wonder and life lessons for the kids. No matter how small or big your piece of land is, you can make it work for everyone. 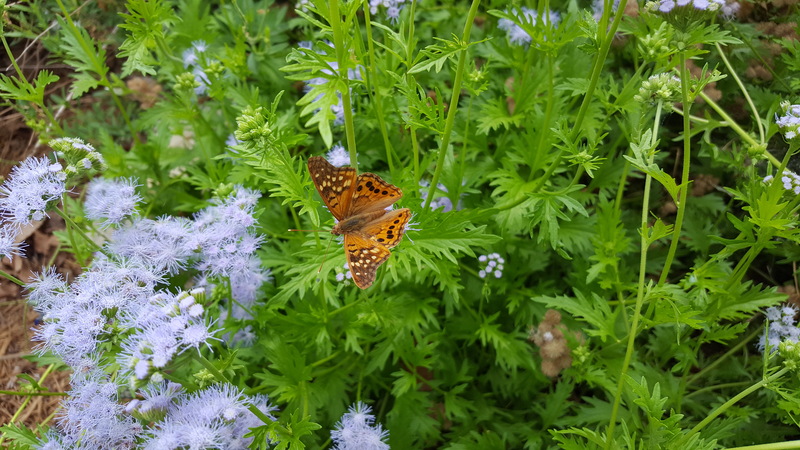 The value of organic living and creating a wildlife habitat. There is no need to preach about organic gardening. It is evidence enough to observe the abundance of life and how a healthy bio-diversity creates balance. Images below illustrate the intertwined nature of life. 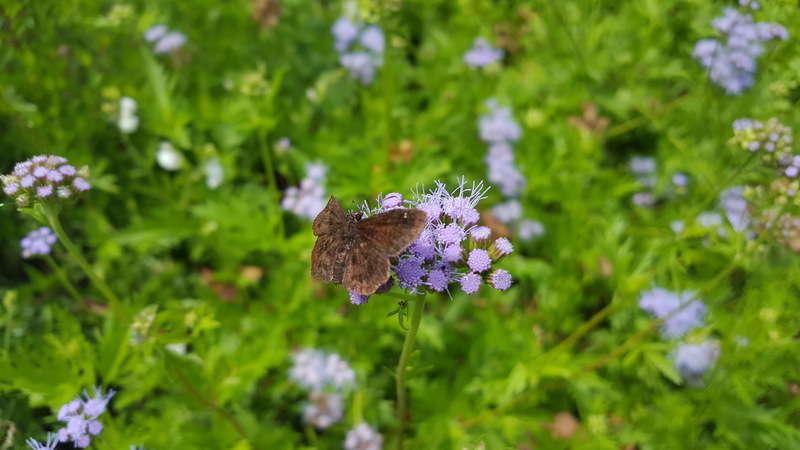 Planting the right plants in the right spots, creating food, water and shelter sources enable to create a wildlife habitat even in small urban setting. Our tiny city lot was completely bare when we moved in. We planted a desert willow and Mexican plum among other trees, and added plenty of perennials (Turk’s cap and salvias among many others), we created a veggie garden where there is place for annuals as well. Within a year this completely changed our landscape – from barren and devoid of life to beaming with life. 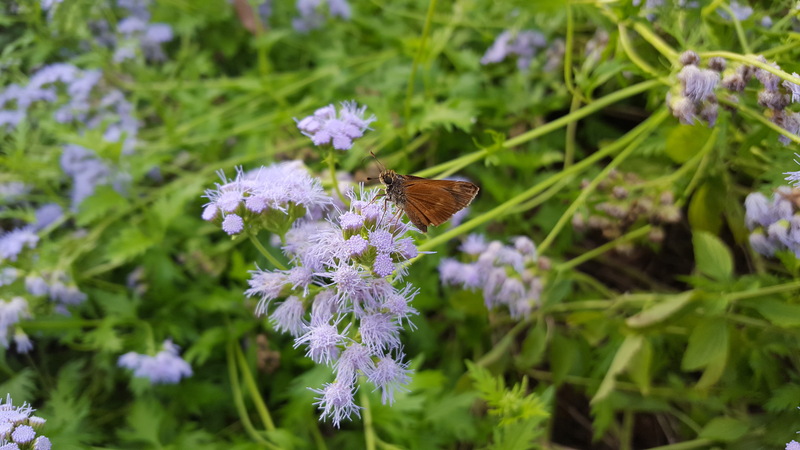 From honey bees to sphinx moths to hummingbirds to lizards and garden snakes and everything in between. I discovered this year that bees need water, but they drown easily. 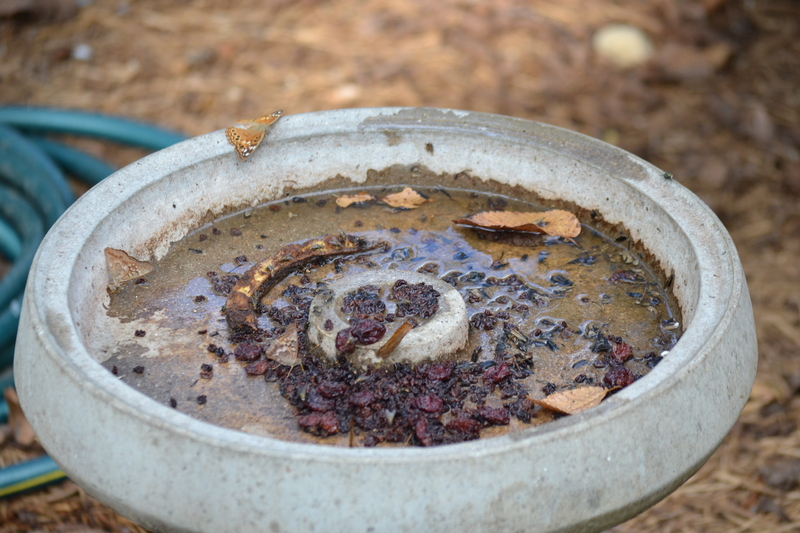 So I set up a shallow bird bath with stones in it, so that bees have easy access to water and be safe at the same time. They gather around the water source by the dozens every day in the summer. Desert willow is our hummingbird magnet and never fails. Bumblebees love it too! As well as many other insects. I found several Assassin Bugs on it this year. The veggie garden, with its changing crops and successions of annual flowers, creates an eco-system of its own. 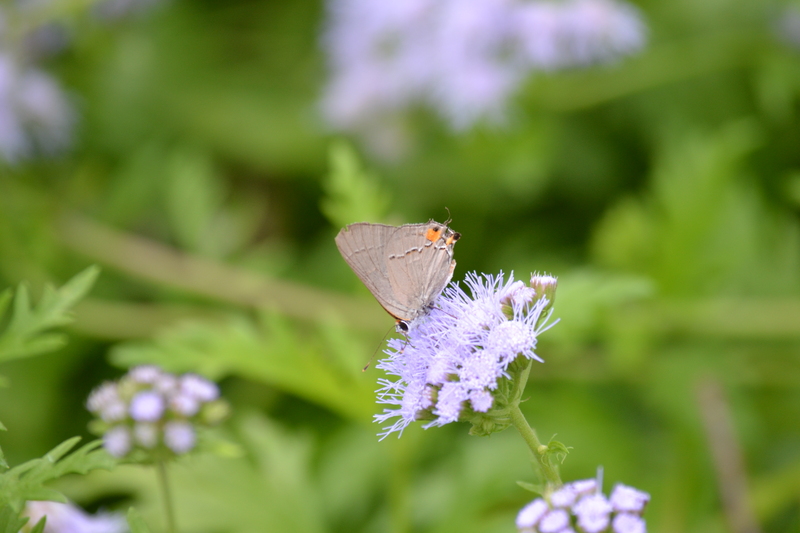 There is always something alive there, busy to gather pollen or lay eggs. 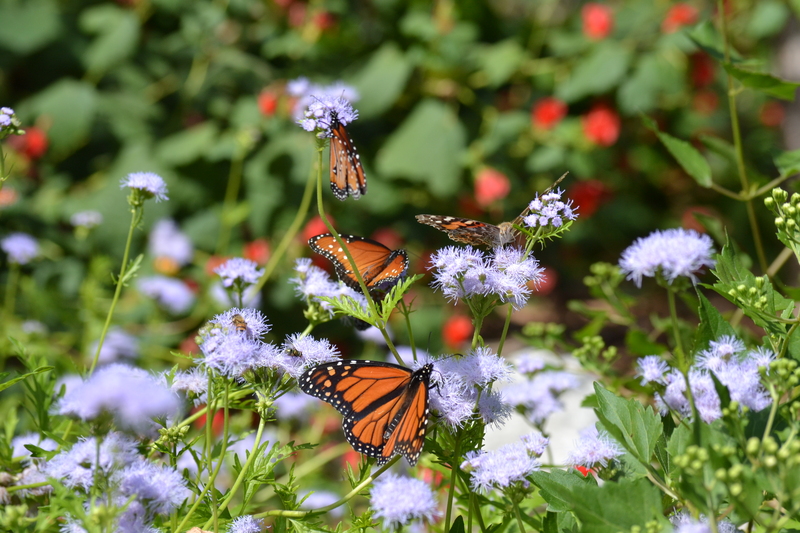 We always have abundance of butterflies, which are drawn to the butterfly bush, desert willow, Turk’s cap and salvias, among other things. 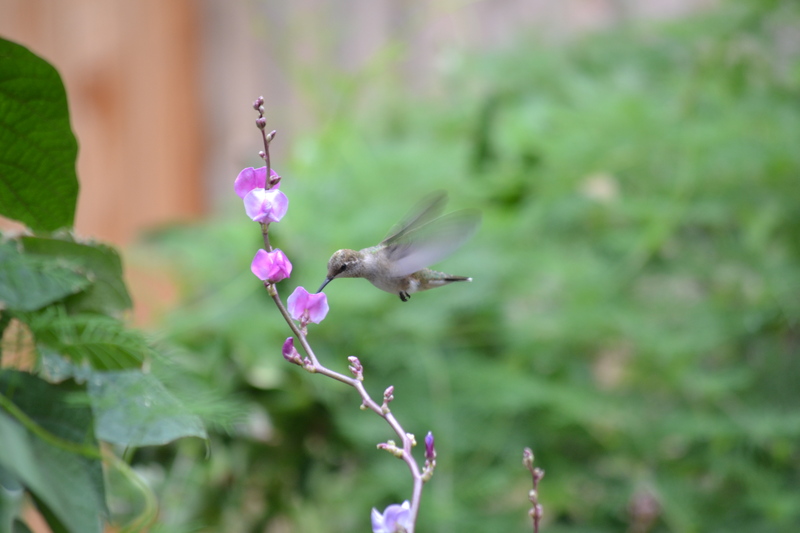 Damselflies, dragonflies and paper wasps (which are not aggressive and help to control mosquito population) were particularly drawn to the Hyacinth Bean vine I planted on the fence along the chicken run, close to the water source and the never-ending source of pollen – basil. Lizards particularly like the shade area of the garden, where potted plants are stored on wooden pallets. It also is the favorite hunting ground for Carolina wren. It is a circle of life – good bugs taking care of the bed bugs, birds, lizards and snakes taking care of the excess of the bugs, spiders weaving spider webs…. Let nature take care of itself… and help only when needed. You will see the difference! Help your garden survive the drought. It is time we stopped and listened to Mother Nature is telling us. We don’t have unlimited resources and the weather patterns are changing. And so we need to change our way of thinking and doing things. The drought that has started in 2011 continues, and we need to adjust accordingly. We need to learn how to deal with extreme weather. – and lastly, don’t forget about your trees – they are extremely valuable and they are suffering! We tend to let trees take care of themselves. Because of their size we think that they can survive just about anything and need not our help. This is far from the truth. Trees are our great resource in so many ways – the clean the air, the add value to landscapes, they provide habitats for wildlife, act as sound barriers, produce oxygen, and help us save energy. Texas rock rose – rolling with the punches. 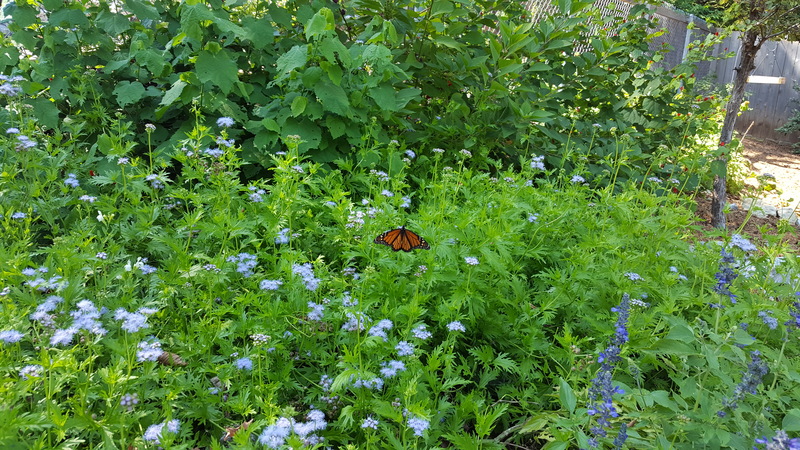 There are many plants that do well in north Texas. And then there are a few that do fantastic. 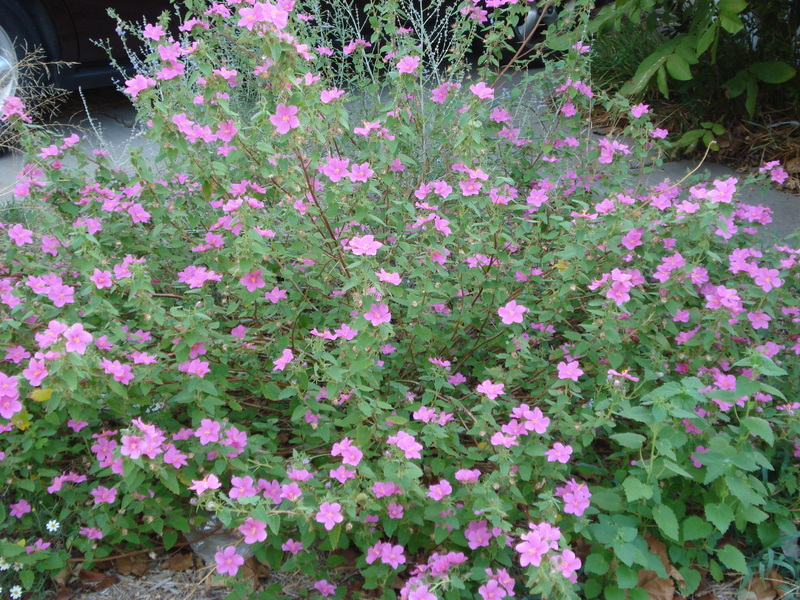 Texas rock rose (Pavonia lasiopetala) is one of them. I have one in my front yard. It is, to be perfectly honest, neglected and left to its own devices. It is in full sun and in poor soil. I watered it only once in the last 4 months. Since we’re experiencing a prolonged drought, and have hardly had any rain this summer, I expected it to decline. Not die – I knew it would survive – but decline. Apparently I have underestimated it. Every morning it is covered in blooms. It satisfies my appetite for color this summer, while most things look like they are about to wither and die. This is a tough little native. Give it room as it tends to spread and make it a showpiece. It deserves it. 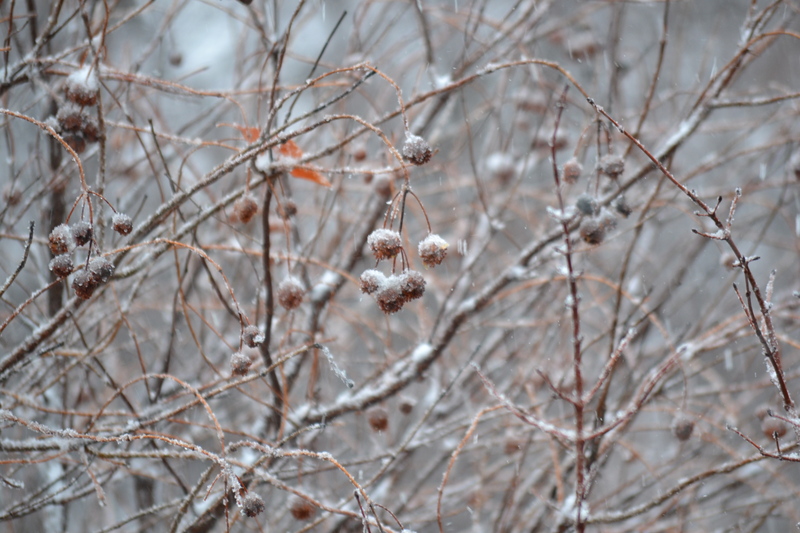 Invasive plants – why should you care? There is not enough awareness when it comes to invasive plants. We tend not to see the harm in planting an invasive plant precisely because it seems so harmless. How can a plant hurt anything? An “invasive species” is defined as ‘an alien species whose introduction does or is likely to cause economic or environmental hard or harm to human health.’ (Executive Order 13112). Why should we care? 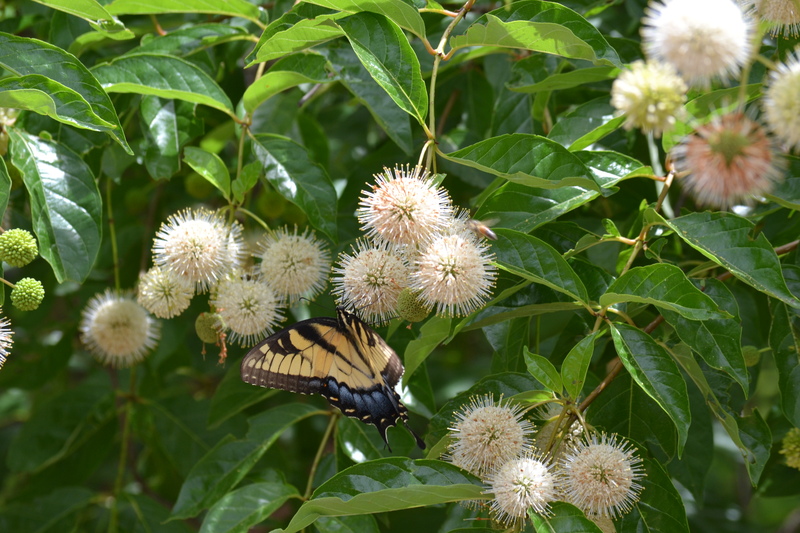 Because native plants and habitats are important to our identity, sense of place and survival. To preserve ecosystems and biodiversity which are vital to our planet’s health. Information about invasive species is spread out and often confusing. It is important to know the invasives for your particular region. Some website list them by state, some go as far as listing them by county. 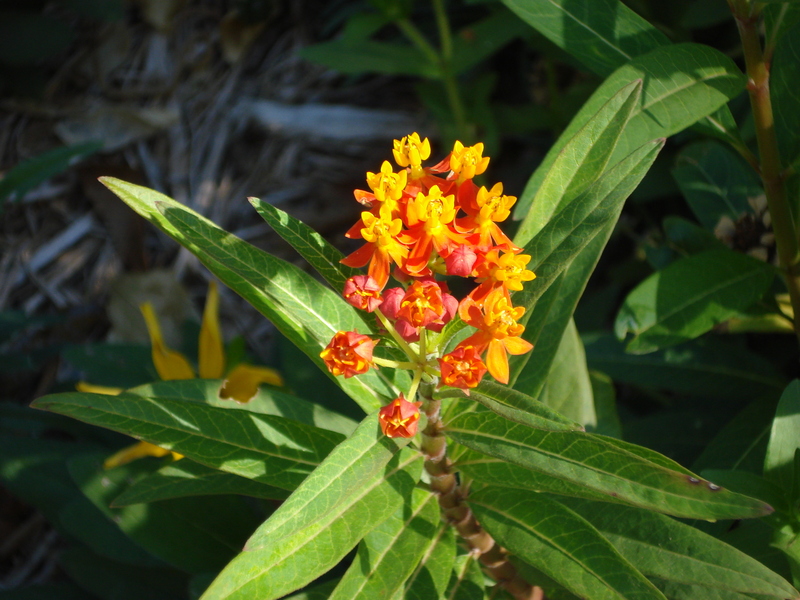 Below are some useful links to invasives in Texas. Some of the invasives are sold by nurseries and many buyers are unaware of the plant’s nature. Purple loosestrife, vitex and nandina are some fairly well known examples. Sterile varieties of some invasive species are available and can be used safely in the landscape.